Like many other collegiate members my age, I had no idea what the Sigma Nu Educational Foundation was a year ago. I didn’t know about the purpose of the Foundation or that it would change my life and instill in me the value of commitment to the Fraternity throughout my entire life. My experience with Sigma Nu Educational Foundation began with what seemed like an accident. I applied to be a Collegiate Grand Councilman in the fall of 2014 thinking it was the only opportunity I had to gain leadership experience at the national level. To my surprise, I received a call from Joe Gillman, past Regent and chairman of the Foundation at the time. He told me of a new position with the Sigma Nu Educational Foundation, a position that I and Mark Nelson from Northwestern would be the first to hold. While I enthusiastically accepted the offer to serve on the Foundation board of directors, I was hesitant and a little unsure of what was to come next. I had essentially just accepted a position with an organization I knew little about. As I would soon learn, the Sigma Nu Educational Foundation grants the General Fraternity the funds they need to pursue these endeavors and enhances our fraternal experience both as collegians and members of the alumni chapter. Your scholarship, your LEAD sessions, and in many cases your chapter home, are all a result of the Foundation’s core purpose. If you have seen the beautiful Headquarters shrine, it is also a result of the Foundation’s hard work. As collegiate members of the board, Mark Nelson and I are both current members of the awareness committee tasked with spreading the message of the Foundation to both alumni and active members. While our board is full of past Regents, Collegiate Grand Councilmen, and Alpha Chapter Affiliates, my opinion is valued as much as anyone else’s, and I am incredibly grateful for that. My growth throughout this experience has been tremendous. I have gained insight into the strategic planning process and have begun to understand how a board of directors develops a vision for an organization. I have also had the opportunity to network with many successful individuals that serve on the Foundation board. Most importantly, this experience has inspired me to continue to commit my time, my talent, and my treasures to the Foundation for years to come because I now realize its importance. I encourage you to apply to be a collegiate member of the Sigma Nu Educational Foundation’s Board of Directors. While right now you may be unclear as to what you will be doing, I promise you can expect to grow from this experience more than you could ever imagine. More importantly than that, you will play a vital role in the development in the Foundation’s strategic planning in the years to come. There are a small handful of things, I believe, that have been critical to my life’s development thus far. I think of my family, which has taught me respect and what it means to love. I think of my closest friends back home, who taught me humility. I think of my faith, which has shown me the importance of patience and trust. And I think of my fraternity, which has reinforced all these values while teaching me more than any college professor ever will. Until about a year ago, though, my definition of “my fraternity” was largely limited to my own chapter. This narrow definition changed completely when I joined the Sigma Nu Educational Foundation board of directors. I was offered the opportunity to join the Foundation board well into my second term as Commander. Having already been to College of Chapters, I was hesitant to join. After all, I understood some of the work and prestige that came with the Collegiate Grand Councilman position. So why trade the chance to apply for a sought-after position for which I was well prepared, for a new position that I knew nothing about? For me the answer was simple: the Sigma Nu Educational Foundation collegiate board member role gave me the opportunity to define a new position, support the long-term goals of Sigma Nu, all while working and learning alongside inspiring alumni who continue to give back to their Fraternity. After over a year of service, I can confidently say that I made the right decision. The unforgettable experiences I have had on the board have been so many in number, they would require far more space to do their descriptions proper justice. I could describe my time with Brad Hastings, the Foundation president, discussing World War II when outside the meeting room and planning ways to get collegians more involved when inside. I could recall my time with Joe Gilman, a past Regent and past chairman of the Foundation, spending days at College of Chapters 2015 strategizing how to recruit other collegians to support the Foundation. I could also talk for hours about how I became teary-eyed when he bought a brick for the Pathway of Honor for everyone on the Foundation board. Or I could write pages about my time with the current Foundation Chairman Al Wurster, driving with him to and from Lexington, talking about economics, favorite college experiences, families, visions of the collegians’ role on the Foundation board, and everything in between. More important than my individual experiences is the broader characterization of the Educational Foundation. The Foundation board is a group of men who care deeply and passionately about Sigma Nu. It is a group that does more than donate their time; it donates their treasure. It is a group that selflessly spends free time finding ways to better the fraternity experience of collegiate members whom they have never met. It is a group that wishes you a happy birthday or networking opportunity when others forget. Above all, it is a group that exemplifies the true qualities of Sigma Nu. While I cannot possibly convey here all of the fantastic parts of serving on the Educational Foundation, I can certainly try in-person. So, if you find yourself in Roanoke this January or in the Chicagoland area, I would be happy to meet and discuss the experience further. Image by flickr user joelogon/Creative Commons license. Email dominates every waking minute of our day – but only if we let it. Instead of pursuing the elusive and utopian Inbox Zero, try these incremental changes to restore some sanity to your professional email correspondence. Master these tips and your professional network will thank you. Remove that comically long email signature after the first message. This makes it easier for you and others to scan a long email string for a specific piece of information buried somewhere in the conversation. If anyone needs info contained within your email signature they can still find it by scrolling down to the initial message. Use deadlines to help others understand your intended timeline for completion. Include a simple sentence like, “My goal is to have this complete by 4 p.m. today.” Avoid vague phrases like “ASAP” that tend to create confusion regarding expectations for completion. Communicate specific deadlines to make sure everyone is on the same page. Use the Drafts folder. Not sure about the tone of an important message? Worried your message might come across the wrong way? Save it to the Drafts folder and revisit the next morning or even the next week. After sleeping on it for a few days you might think better of sending the email and opt instead for a phone call or in-person meeting. Consider batching your email times so you can focus on important-but-not-urgent projects. Completing long-term projects requires periods of uninterrupted focus, and constantly checking and replying to emails makes this nearly impossible. Unless your job requires truly constant monitoring, have the confidence to close down the email and focus on one thing at a time. When emailing a group, specify which recipients you are expecting to take action. The more people copied on any given message the less likely anyone will respond. What often happens is everyone assumes someone else is going to answer the question or complete the task. This is similar to outfielders having a protocol for handling fly balls that land between positions. Clearly stating what action you expect recipients to take will also avoid unnecessary follow up emails. Avoid using Bcc except for rare occasions. Using the blind carbon copy feature is perceived by many as devious and even conniving. Be transparent about your communication and avoid using the Bcc feature. The rare exception is when you’re emailing a large group and don’t want to expose everyone to a potential reply all chain. Assume your message will be read by people it was not intended for and keep this in mind as you’re drafting the message. Out of convenience — and sometimes out of carelessness — people will forward emails to others you did not intend to read the original message. This can cause confusion and embarrassment for the original sender who wrote the message specifically for the intended recipient. Similarly, practice good email etiquette and ask the original sender before forwarding to new recipients if you have any doubts about the intended privacy of the message. Stop sending non-urgent emails after work hours. Replying to emails at 11 p.m. is not impressing anyone — you’re only contributing to the work/life balance issues that tend to bubble up in any professional work environment. Clarify expectations with colleagues and supervisors ahead of time. If replying outside of work hours is not expected then don’t make the problem worse. Relax, decompress, and pick it up the next day. Everything will be fine. Don’t be the first to reply to a group email. Let someone else initiate the perpetual reply all email chain, unless the email is specifically addressed to you. By the time you get around to answering the initial email it will likely be resolved without any involvement required of you. More often than not an email sent to a large group is merely for informational purposes. Chime in to an existing conversation only if you have something substantive to add. Of course, use your best judgment in all situations. There may be occasions where the sender wants to have confirmation of receipt. Do you have additional tips for effective email communication? Leave your suggestions in the comments below. 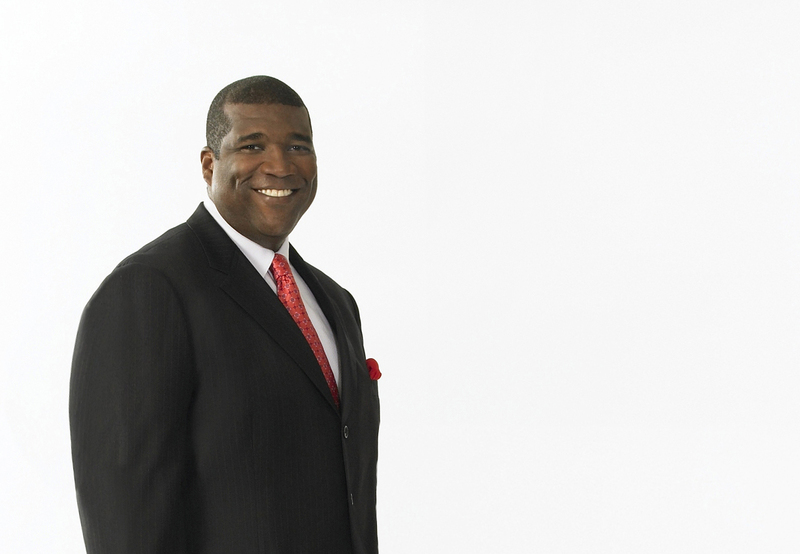 The first thing you notice about Curt Menefee is his voice. It’s the same voice that’s hosted FOX NFL Sunday since 2006. It’s the voice that has called preseason NFL games, the voice that has called UFC fights. Yes, that voice. The first time I heard the voice in person I was standing at the security desk in the lobby of the freshly painted FOX Sports 1 studio in Los Angeles, only a few minutes before our meeting to interview the iconic broadcaster. As I stood, my back facing towards the entrance, Menefee walked in, talking of just having seen “Kobe in the parking lot.” For a moment, I had to focus to shake Mr. Menefee’s hand, which completely engulfed mine. Curt then says he’d meet us in the conference room in a few minutes. The three of us went, and though it turned out that Kobe Bryant was not in the parking garage (it was Cobi Jones, member of the National Soccer Hall of Fame, still very cool), reality was not lost on us and where we were. Menefee grew up in Atlanta, Ga., where he attended Henry McNeal Turner High School. He says he always knew he wanted to be in sports, specifically as a television producer. Menefee, as even he admits, says how he ended up at Coe College is odd. As he tells it, as a senior in high school, Menefee and the rest of his AP English classmates were permitted to miss class to meet with college recruiters. A representative from Coe College was there, his booth clearly not as popular as some of the others. Menefee felt bad for the guy, went up to him and struck up a conversation. Eventually he and Menefee exchanged information, and, soon enough, postcards and phone calls started reaching Menefee in Atlanta all the way from Cedar Rapids, Iowa. If you live your life with honor, you get opportunities that maybe you wouldn’t. People look at you and will respect you for that. For two and a half years while he was in school, though, Menefee worked at a local television station. He says his hands-on experiences were more valuable to him than a prestigious journalism school would have been. “I look back and I would not change a thing,” he says. “I think it helped me become who I am. I got opportunities there that I never would have gotten had I gone to Syracuse or Missouri or one of the big journalism schools. 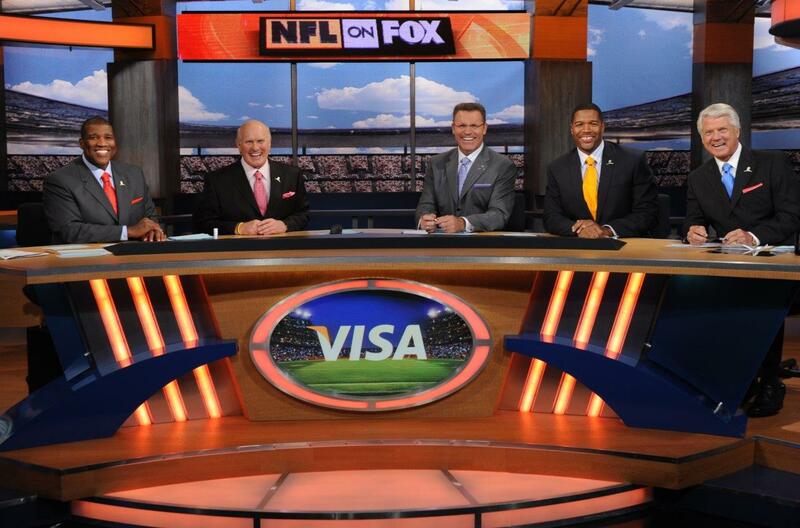 Menefee, right, on the Fox NFL Sunday set with Michael Strahan and Terry Bradshaw. The first semester of freshman year, Menefee joined Sigma Nu, but it didn’t work out and he eventually depledged. Returning to school for his sophomore year, he once again rejoined Sigma Nu, and served as his candidate class’s president. “Like a lot of things in my life,” Menefee observes, “it worked out better than planned.” He also says that Sigma Nu helped establish a set of values that he still lives by. After Menefee graduated from Coe, the station where he had been working for two and a half years offered him a full-time job to work in the news department. But Menefee turned it down. Instead of sports, they wanted him to work in the news department. “I don’t want to have to knock on someone’s door and tell them that their kid passed away,” he remembers thinking. Menefee kept working at the station as a freelancer. Then an opportunity came in Des Moines, Iowa, where Menefee worked as a sports reporter for a year. Everywhere I’ve ever been, my whole goal has been to be the best guy in that market at the time. The rest of it takes care of itself. Menefee then moved on to Madison, Wisc., and worked there for two years as a weekend sports anchor. From there, he went to Sports News Network (SNN), a D.C. based company that was trying to become a 24/7 sports network. But the fledgling network soon went bankrupt and Menefee would spend the next eight months unemployed until a chance encounter with a man running for the U.S. Senate. Menefee remained in Jacksonville for a year before moving to work as the weekday sports anchor in Dallas. After his three-year stint in Dallas, Menefee went to work for the FOX affiliate in New York City where he worked for seven years before leaving to work for the Knicks and Rangers at Madison Square Garden. Things were humming along for Menefee’s career. He worked hard wherever he was and took new opportunities as they came up. His career thus far would be considered a great success by any measure. The first NFL game Menefee ever attended was an Atlanta Falcons preseason game against the Pittsburgh Steelers. The quarterback for the Steelers at the time was four-time Super Bowl champion Terry Bradshaw, who is now Menefee’s broadcast partner along with other NFL legends Jimmie Johnson, Howie Long and Michael Strahan. 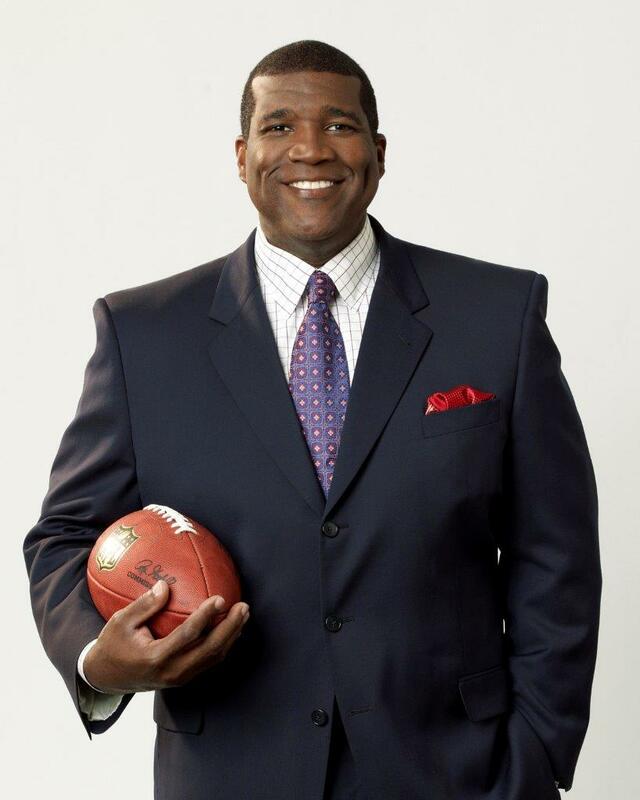 In 2006, FOX asked Menefee to be the host of FOX NFL Sunday, the network’s flagship NFL pregame show. The planning for FOX NFL Sunday begins each Thursday with a morning conference call between the on-screen subjects and the show producers. As Menefee explains, everyone but him is in L.A. during the week; Strahan is in New York, Johnson is in the Florida Keys, Long is in Charlottesville and Bradshaw is in Oklahoma. The call serves as a preliminary hearing, to map out what topics should be broached and what the crew is leaning towards discussing. Menefee will usually write from about 8:00 to 11:00 on Saturday mornings to prepare for Sunday’s show. After that, he and the other cast members check in to a nearby hotel. They watch the college games while doing final preparations for their own show, breaking up around 5:00 p.m. From there, he goes to bed early, trying for eight, to wake up at the brisk hour of 4:30 Sunday morning. Menefee and the others are in the FOX Sports studio by 5:30 a.m. They have a meeting at 7 a.m. that serves as a full dress rehearsal – suits, ties, make-up and all. Then they go live on air at 9 a.m. pacific time. In addition to his job hosting FOX NFL Sunday, Menefee also hosts FOX Football Daily, which airs Monday through Friday at 6 p.m. ET on the new Fox Sports 1 network. When FOX Sports launched its new network in August 2013, network president Eric Shanks asked Menefee if he wanted to deliver the network’s mission statement, which he gladly accepted. “I was honored by it,” Menefee said. “There are hundreds of employees that they could have chosen, and they chose me. It meant a lot. In the offseason, when he’s not focused on football, Menefee likes to travel. He’s been to every continent and over eighty countries. He golfs, sometimes with his wife and sometimes with Bradshaw in Hawaii. He’s rung the NASDAQ opening bell in Times Square. 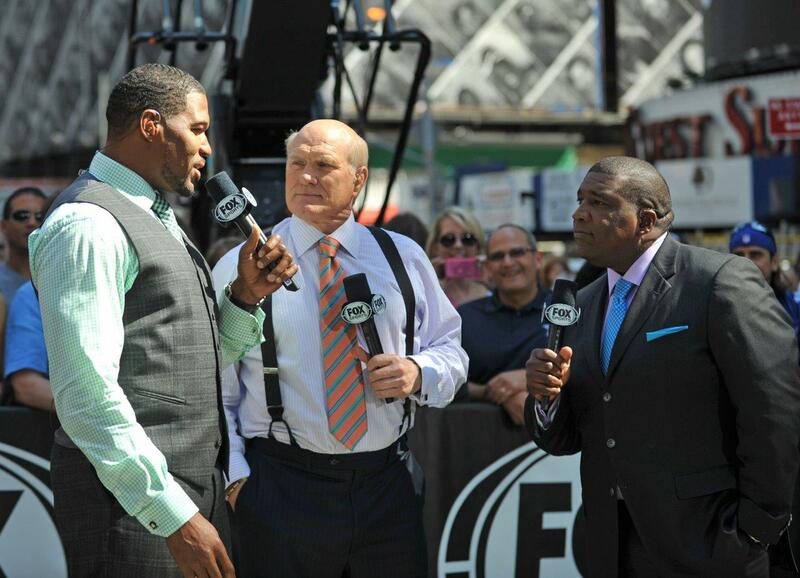 Yes, Curt Menefee is a man who is enjoying life. But Menefee has also found himself in the anchor’s chair during critical times in our history. In 2001 he was living less than a mile from the World Trade Center. Menefee remembers having to walk home the 60 blocks from work that night. Everything was quiet, he said, except every now and then you’d hear a siren and that was it. Sigma Nu reinforced in me, at a young age, on a daily basis, of who I wanted to be and how I wanted to be perceived. If I ever wanted to achieve anything in my life, there are certain values you have to understand and adhere to. But it’s more than that. Sure, the playful banter he shares on the set is fun, but for Menefee it all goes back to honor as your personal reputation. Through it all, through his time at Coe College to FOX Sports 1 to trips to Afghanistan to support American troops, Menefee has lived a life filled with honor. All photos courtesy of Fox Sports. 1. Visit your professors’ office hours. Of the already small number of students who actually use office hours, few of them know how to take full advantage of the face-to-face meeting. Rather than asking the professor what’ll be covered on the exam – a question that should be obvious and was probably already asked by the inattentive student in the back of the room – ask some thoughtful follow-up questions related to subjects from class. Even more valuable than asking questions is the chance to help your professor put a face and personality with the name (or worse, student ID number). When your professor is slogging through hundreds of answer sheets the night before grades are due, she’ll remember the personal interaction with students who bothered to take advantage of her office hours. 2. A) Make a list of distractions. B) Don’t do those things. Important Desperate times call for pro-active desperate measures. Delete Facebook, Twitter and Angry Birds from your phone until after finals week. If you’re especially prone to compulsive Facebook use, give your username and password to a trusted friend to avoid the temptation while in the computer lab. Fill your Netflix queue with some documentaries that complement your classwork so you won’t be tempted to watch an entire season of The Wire all in one sitting. Find a study carrel that faces away from high-traffic areas. It might be terrible feng shui, but keeping your back to passersby can improve focus and limit the temptation to compulsively hit “refresh” on your favorite news sites. Finally, have some good excuses ready for when your friends come calling with invites to Benihana. 3. Make your own study guides. At least one week before the test, complete typed study guides for each chapter or subject that will be covered on the exam and carry them with you everywhere. Summarize the information in your own words and use small pockets of time between classes or waiting for a friend to quiz yourself. Once the semester is over you can stick the study guides in the chapter’s scholarship file for future brothers who take the same class, provided they meet your school’s honor code guidelines. 4. Explain the class to your grandmother. Okay, maybe you’re not actually going to give Nana an organic chemistry lesson over the phone. But explaining the core concepts of a class to a friend or family member can be a useful way to see how well you know the material. If they can repeat it back to you then you’re on the way to owning this exam. 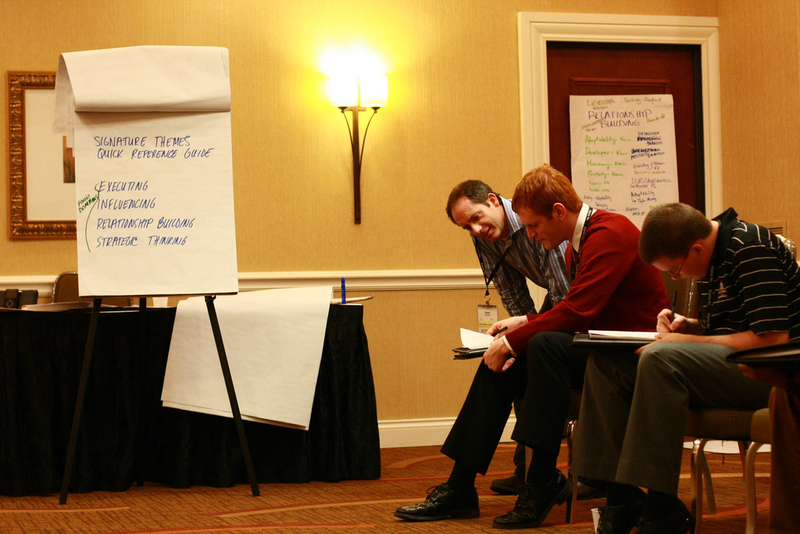 For another strategy, try forming a study group with classmates and assign a different section to each person. Sometimes you don’t really understand something until you teach it to others. 5. Simulate the testing experience. 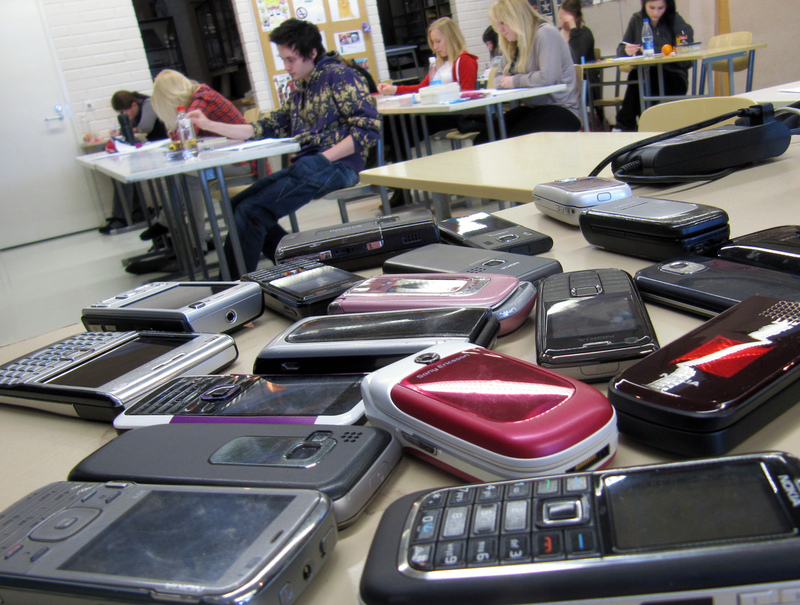 A buzzing cellphone, a new building, a frigid classroom, an unfamiliar testing format. The tiniest [or justifiably maddening] thing can throw off your concentration. Thankfully there’s a way to prepare for that. Don’t let the actual exam be the first time you’ve been tested on the information. Write some practice tests using class materials and the study guides you created earlier, and then take one in the same building where the exam will be administered. Trick yourself into thinking this is the actual thing – however you do here will be your actual grade. This is it, no redo. Use your score to make adjustments accordingly. Repeat. This is how prospective graduate students master entrance exams like the GRE, GMAT or MCAT. Simulate the testing experience so the real thing feels like a piece of cake. Eat. Sure, you may not have as much time to cook or sit down to eat during exam week, but this doesn’t mean you need to eat stale Funyuns from the vending machine every day. Make a trip to the grocery store and stock up on some relatively healthy snacks you can carry around campus. Eating small meals every few hours will help you stay focused. Exercise. You don’t need to hit the gym twice a day or schedule a Tough Mudder during finals week to stay mentally awake. Just commit some time each day – as little as 15 minutes – to take your mind off studying with a little exercise. Jog around the block a few times. Do a few sets of push-ups and pull-ups in your room after waking up (hopefully after more than 2 hours of sleep). Walk to campus instead of driving. Or maybe you’re more of a desk treadmill kind of guy? 7. Leave nothing in doubt. This final tip for exam week preparation is more of a mindset than a tangible study habit. “Leave nothing in doubt” means you’re going to leave the exam room already knowing your score. You were so focused and thorough in preparing for the exam that you don’t even need to wait for the grades to post to know how you performed. Congrats, you killed it. Now you can go home and watch all those Netflix documentaries. The same goes for the time you spent playing intramural sports, working on the school newspaper or just hanging with friends. Research tells us that one of the most important causal factors associated with happiness and well-being is your meaningful connections with other human beings. Look around today. Certainly one benchmark of your postgraduation success should be how many of these people are still your close friends in 10 or 20 years. Full list available here with a mix of more sound advice and some other not-so-inspiring advice (see No. 10).